When Queen Mary 2 underwent her refit to add the new cabins on 13 Deck, all the teak from the area was removed and turned into souvenirs. 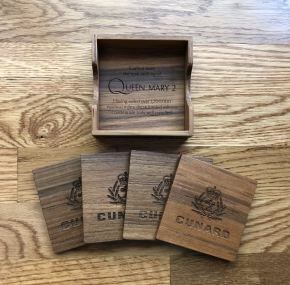 These coasters are made from her teak. 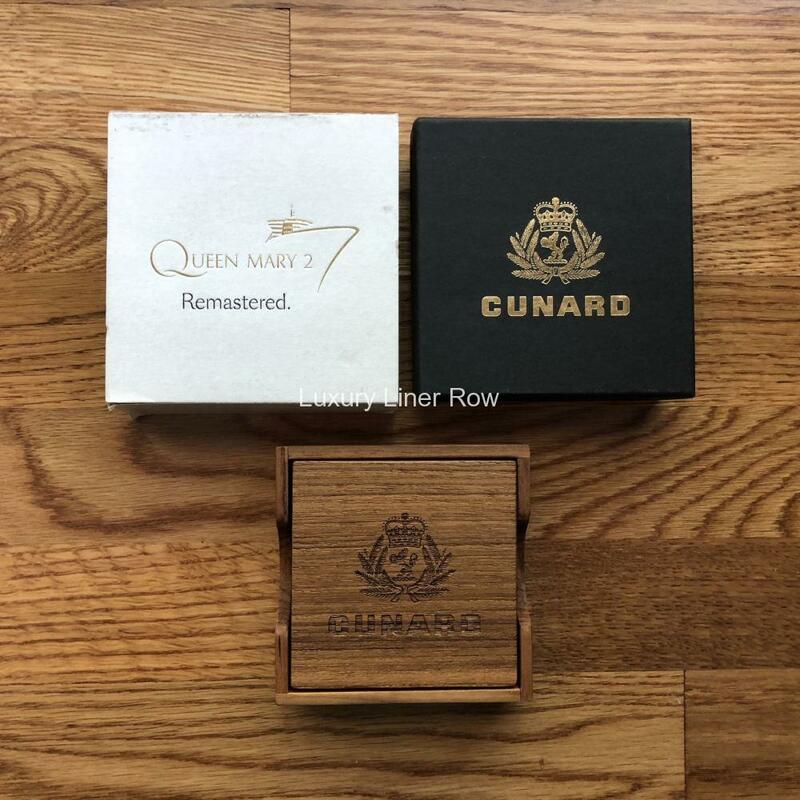 This is probably the only item on Luxury Liner Row that dates to after 1975 or so, and I put these up on the site since they are very hard to come by now.